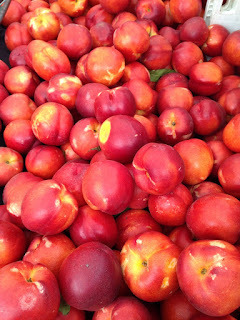 This is my favorite foody time of the year. Its that time when my favorite fruits and veggies are widely available, which means I can buy peaches, pluots, nectarines, strawberries and carrots and celery all locally at my local farmers market and know they are going to taste a-ma-zing. The only thing that sometimes proves to be a challenge is if I buy a large amount of fruits and veggies and they don't get eaten up in under 4 days..... because mold many times can start growing or the veggies can get 'soggy'. But two easy tips help lengthen the time that fruits and veggies stay fresh at home - which means the family has more time to enjoy the yummy produce of the spring and summer and we save more money when we don't have to throw out organic produce! Wash your berries when you get home from the store. Place them in a large bowl with one cup white vinegar: 2 cups water. According to Time Magazine (where I first read about this), if you wash your berries in a vinegar solution you can "extend their shelf life by days" because the vinegar eliminates the mold and bacteria (which is why we ALWAYS recommend cleaning the house with vinegar and water). Drain the vinegar solution well and rinse the fruit under cool water so that your berries won't stay with a vinegary taste. 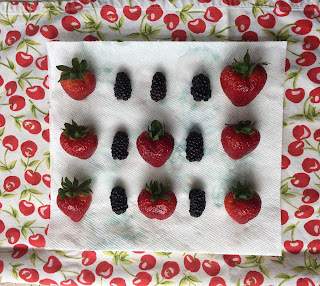 The next really important step is to dry your berries well. If they remain humid, mold will return quickly so make sure they are well dried. I pat them dry with a towel and then place to air out on top of a paper towel, making sure they no berry is touching and if need be rotating them to make sure all sides of the berry air out. I leave them out for a couple of hours to dry thoroughly. 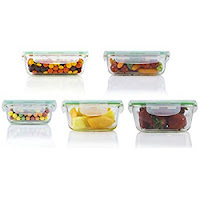 Finally, place them in a -preferably glass- container (not in the tight plastic boxes they come in) and leave them uncovered or partially uncovered so as not to trap any sneaky moisture. 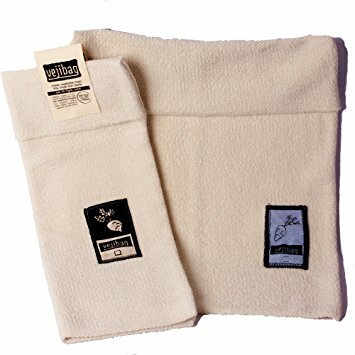 Just recently I discovered Vejibags (please note: I am not getting anything for endorsing Vejibag, nor have I been approached in any way by Vejibag - I just discovered them and really like them!) . I decided to try them after throwing away yet another group of soggy limp carrots. It turns out that certain vegetables like and stay fresher and crispier in humidity. 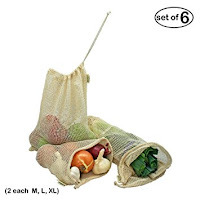 These vejibags are cloths bags that you moisten and then place in the fridge with your veggies inside. Unlike plastic, the cloth bags allow the veggies to breathes (plastic doesn't allow veggies to breathes which is why you get slimy spinach, limp carrots and yellowed broccoli). I have cut celery pieces in the fridge that I cut over 2 weeks ago and they are still fresh and crispy. I have yet to try them with spinach but that will be next! Additional reasons why I like these vejibags? They are made from undyed 100% organic cotton and they reduce your plastic usage. Most of you know how i feel about plastic: I do not love it (its terrible for the planet and many types of plastics can leach phthalates, BPA or similar endocrine disrupting chemicals into your food) and only use it when absolutely necessary. Here are some related products we thought you might find interesting. Please note these are Amazon Affiliate links. I may make a small commission on the sale of an item if you purchase through one of these links. The price of the item is the same for you whether it is an affiliate link or not, and using affiliate links helps me to maintain this website and support my family. Thank you!